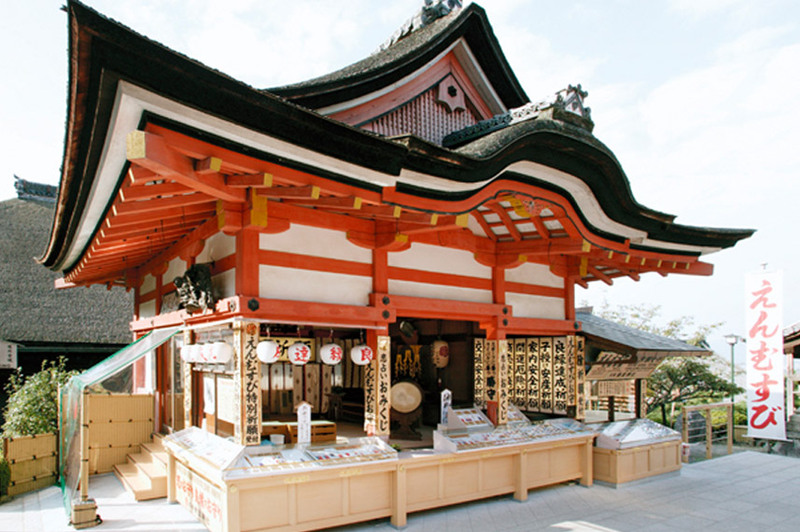 Jishu-Jinja Shrine is the oldest shrine in Kyoto for gods (kami) of love and relationships (En-musubi). These gods have been centres of belief since ancient times. Today the shrine attracts visitors not just from Japan, but from all around the world - and is especially popular with those seeking fulfilment through new or renewed relationships. Jishu-Jinja Shrine's history is older than the formation of Japan itself, and has its roots in an era about which little is known. The inner shrine, and the smaller shrines within the site are each dedicated to gods from Japan's early shinto religion. 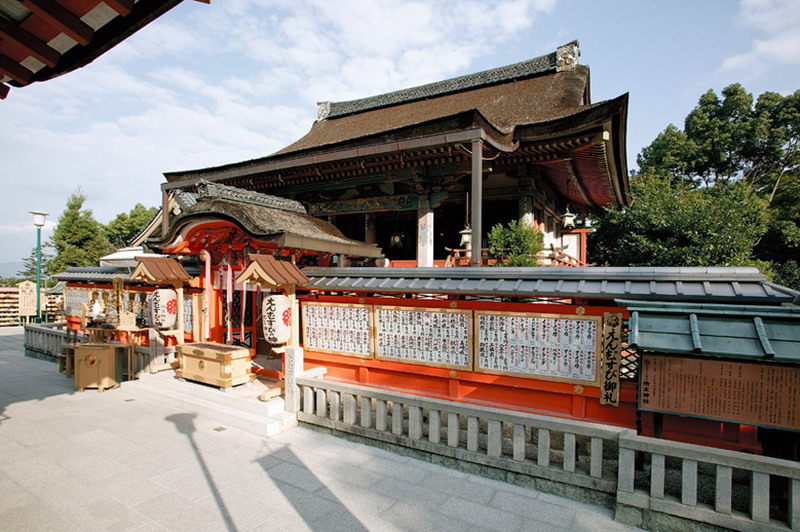 The richly coloured inner shrine is made in the architectural style of the Nara period (around 1300 years ago), and is a shrine to the god Okuninushi-no-mikoto. 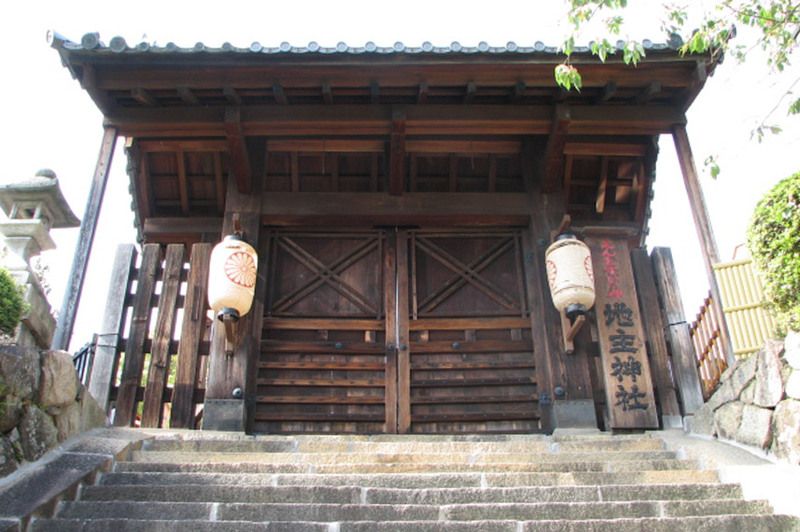 The current buildings of the shrine were reconstructed by the Shogun lemitsu Tokugawa in 1633. The inner shrine, together with the outer shrine, and the main gate to the shrine are designated World Heritage Sites, and nationally defined Important Cultural Properties. On the path in front of the inner shrine can be found the famous Koiuranai-no-ishi (love fortune stones). Roughly ten metres apart, and standing around knee height, it is said that those able to navigate between the stones with their eyes closed will have their wish for love granted by the shrine's gods. Famous throughout Japan, the stones today receive visitors from all around the world. 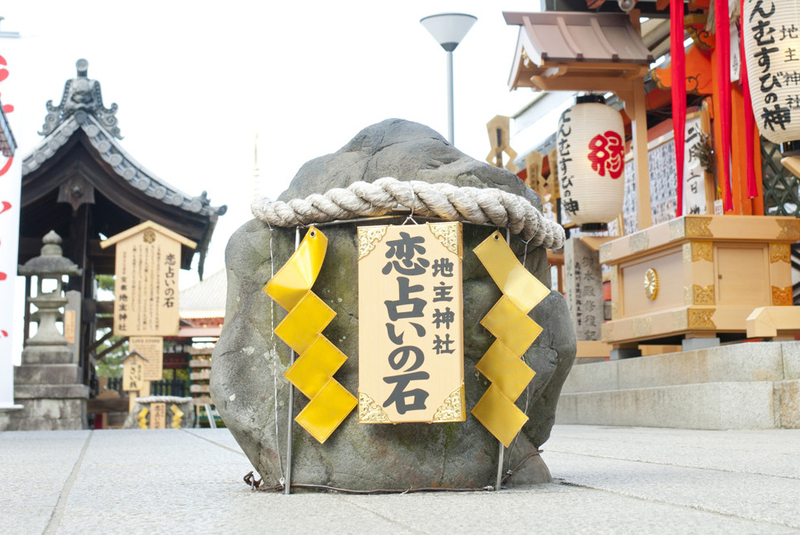 Recent analysis has found that the stones date from the prehistoric Jomon age, and it is thought that their original purpose was to attract gods to the shrine. During each matsuri (festival) it was hoped gods would be drawn to the stones, and remain by them. 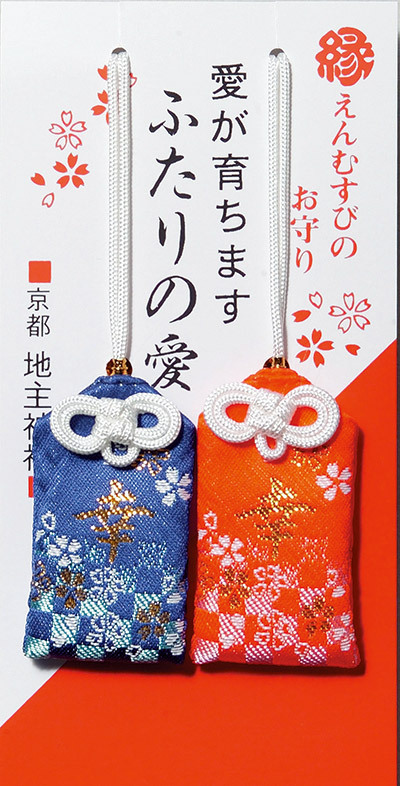 To receive benefits from the gods, or to have them always in nearby benevolence, many visitors come to the shrine for its o-mamori good luck charms. The charms offer many specific protections in the field of relationships - and may for example embody a wish for good luck in finding love, and a partner for life. 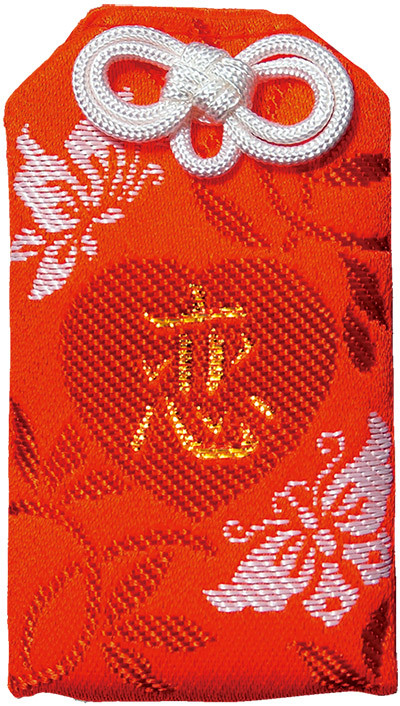 There are also charms available to those who wish to improve and deepen relations between friends, lovers and spouses. While much of ancient Kyoto was covered by lake, the site of Jishu-Jinja Shrine was made into an island by its location on a holy mountain known as Horaisan. Thought to bestow eternal youth, the mountain was an early centre of belief. And so it can be said that travellers from ancient times to the present day have sought the benevolence of the resident gods to help them in their search for fulfilling love and friendship. Jishu-Jinja Shrine embodies the hope that good relationships might spread to the corners of the earth, and bring peace and happiness throughout. At the Temizusho (the hand water pool) you should take a ladle and fill it, before then pouring the water on one hand, and then another. Take some water from your hand to then wet your mouth. Before paying a visit to the shrine gods, the purpose is to cleanse yourself, and obtain their favour. 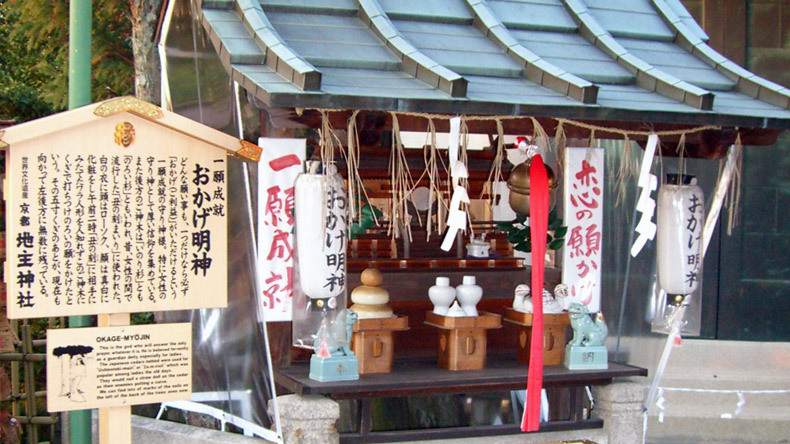 Within the boundaries of the shrine, there are many smaller, secondary shrines. These include a shrine to Nadedaikoku, where based on the part of the statue that you stroke, a different wish could be granted. Nearby is a shrine to Okage Myojin, where just one wish is allowed. 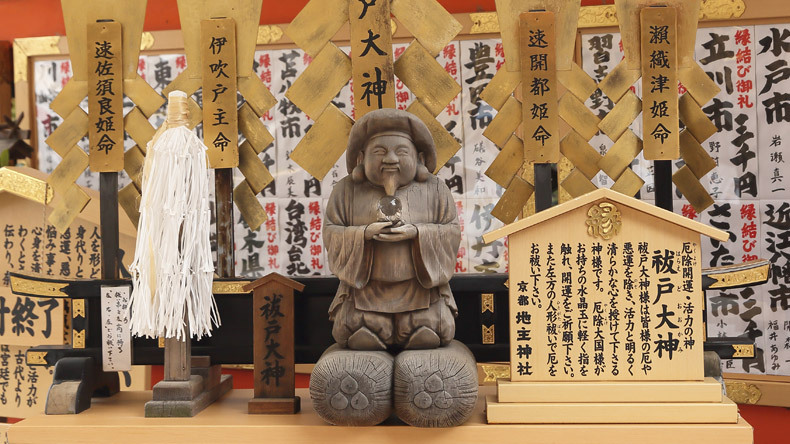 Elsewhere we can find Kurimitsuinarisha where wishes can be made for success in business and family life. 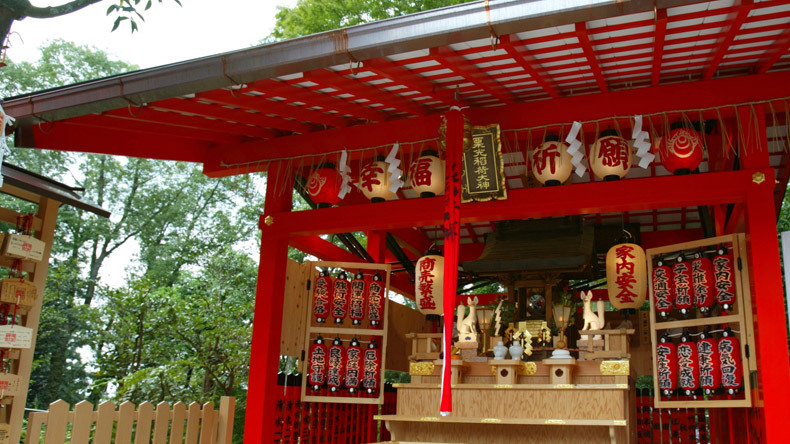 There are also several other smaller shrines, each reflecting another god found at Jishu-Jinja Shrine. Ema are picture tablets found at Japanese shrines, that contain messages and dedication to the gods, and act as a form of prayer. 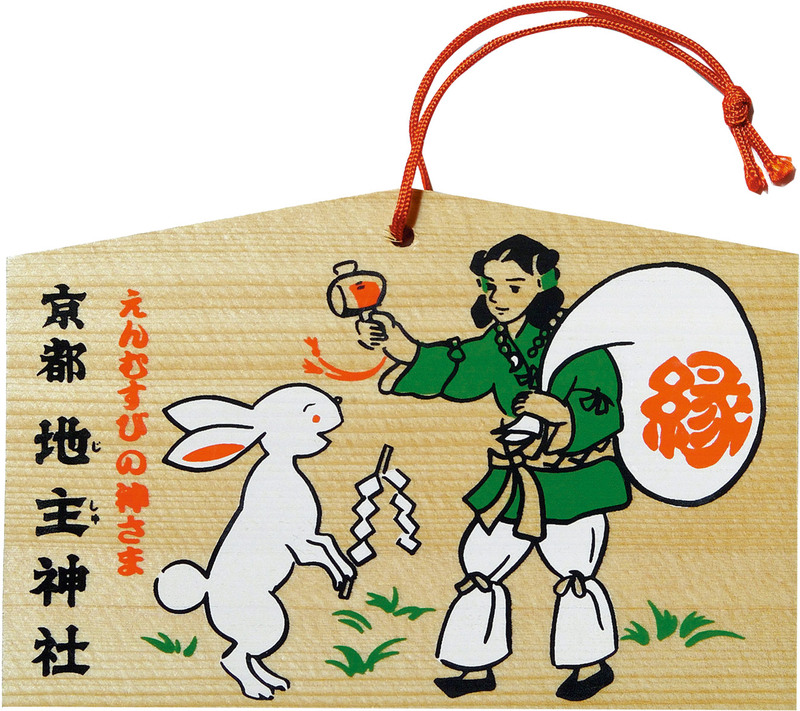 Within Jishu-Jinja Shrine many small boards with pictures of Okuninushi-no-mikoto and a rabbit can be found hanging from the rails - these are Ema. The wooden tablets are letters to the gods, and visitors to the shrine may use them to enter the wishes they hope will be sent. Okuninushi-no-mikoto is a god mentioned in the Kojiki, the oldest known collection of Japanese myths. Known for his kindness, he is a well known object of belief. 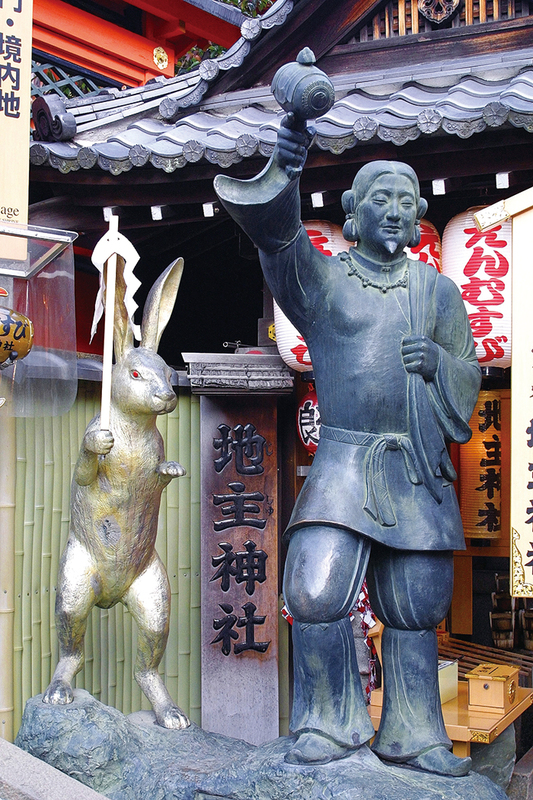 In one of the most famous myths associated to Okuninushi-no-mikoto, he assists the wounded Hare of Inaba. For this reason a rabbit god stands loyally adjacent to his statue. A charm that deepen s your ongoing romantic relationship. A charm for those looking to fall in love. A charm that helps you to pro sper in your business. 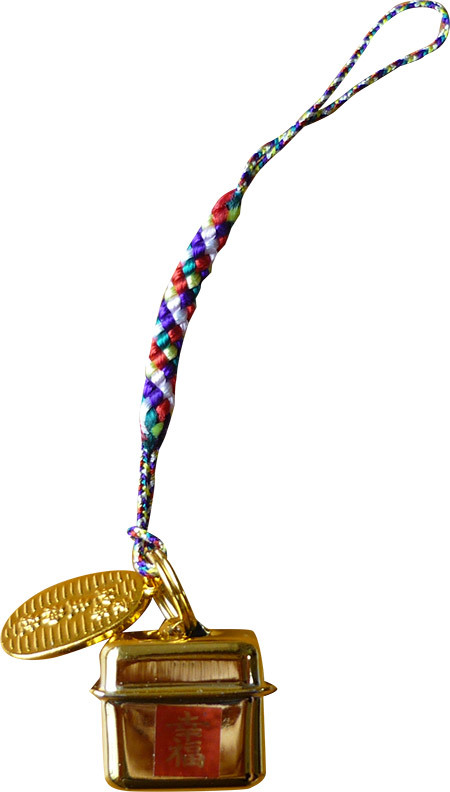 A charm to enhance your good fortune. 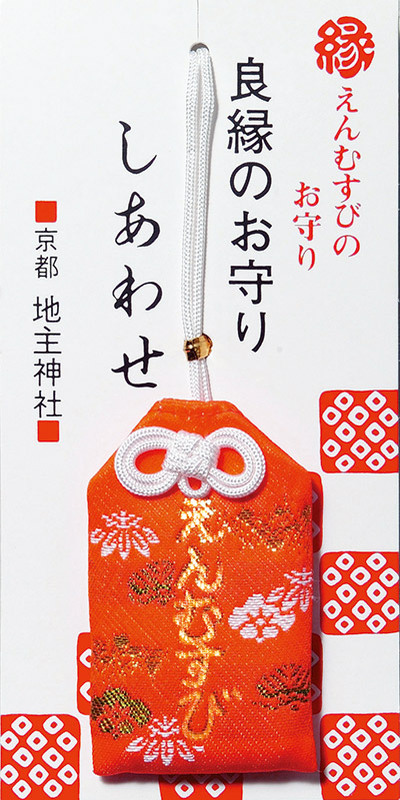 A charm for good health and recovery from an illness.